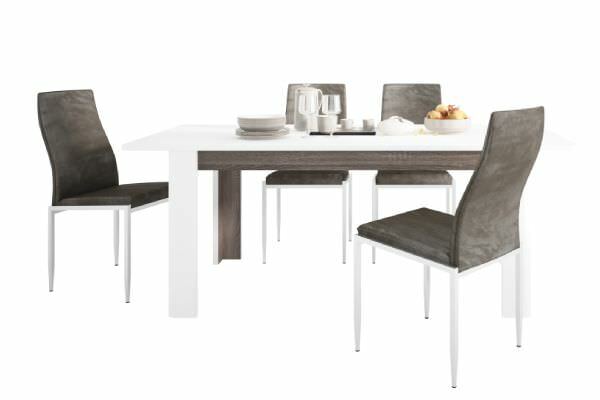 Create a stunning dining room setting with Boca Living. 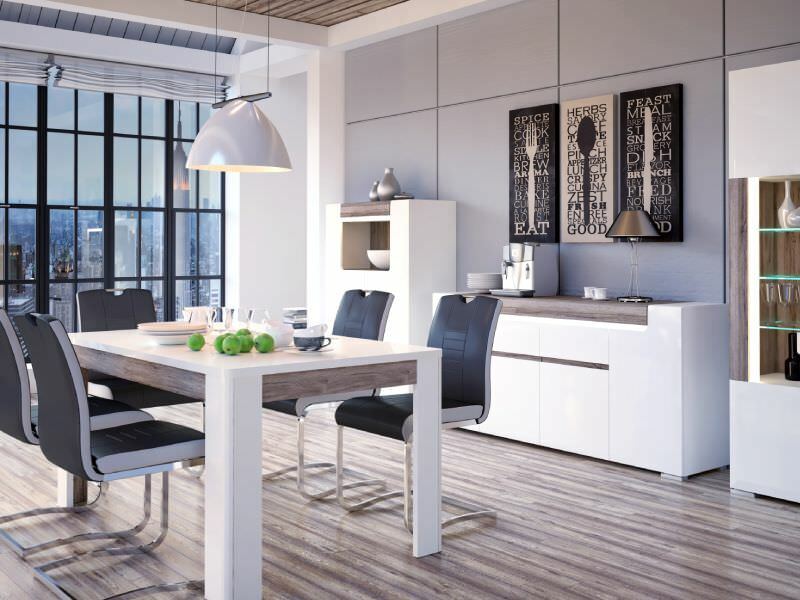 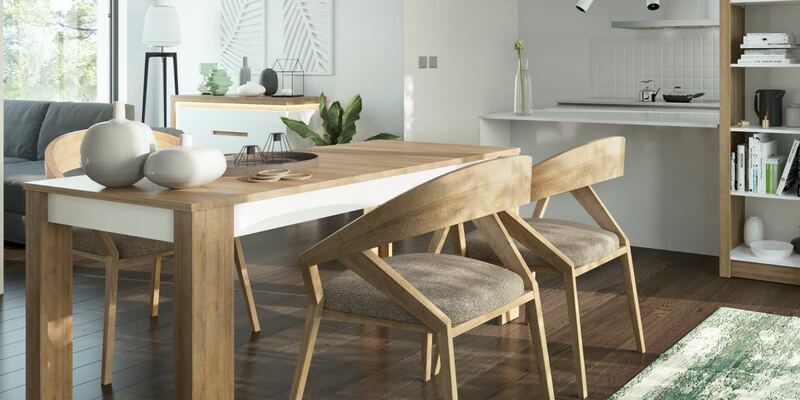 With a huge selection of stylish dining tables & chairs, available both as sets and individually, it's easy to add a fresh new look to your home. 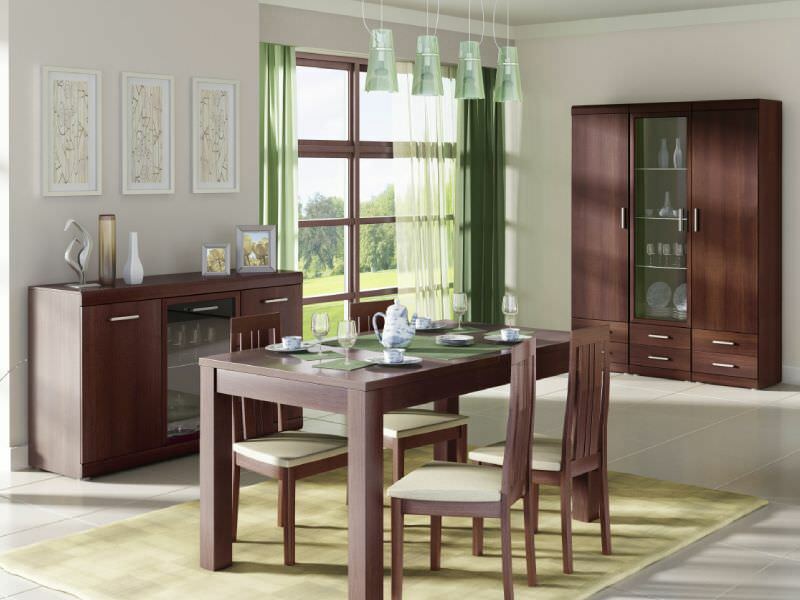 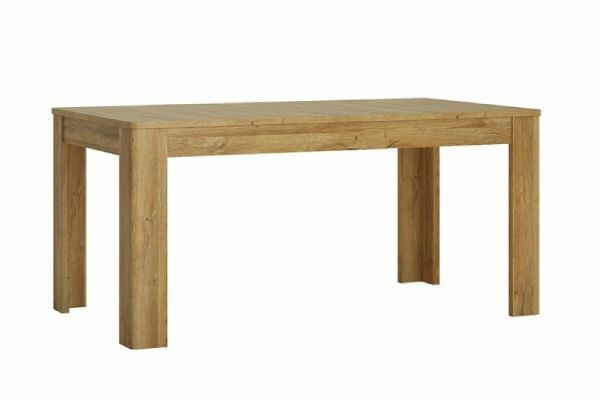 Our hard-wearing dining room furniture will entertain family & guests for years to come. 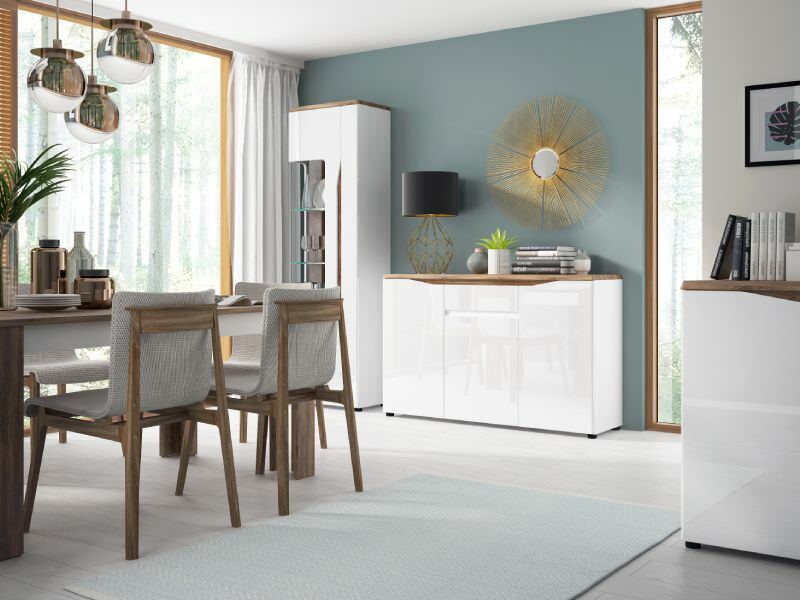 Alluding a retro modern charm, the Oslo collection has an authentic Scandinavian appeal with real style. 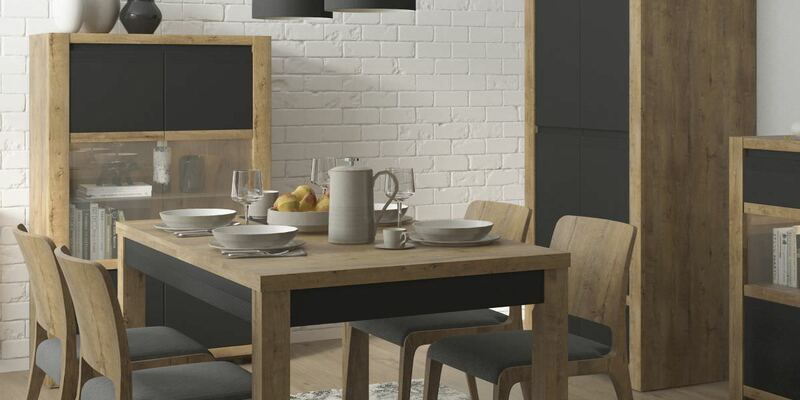 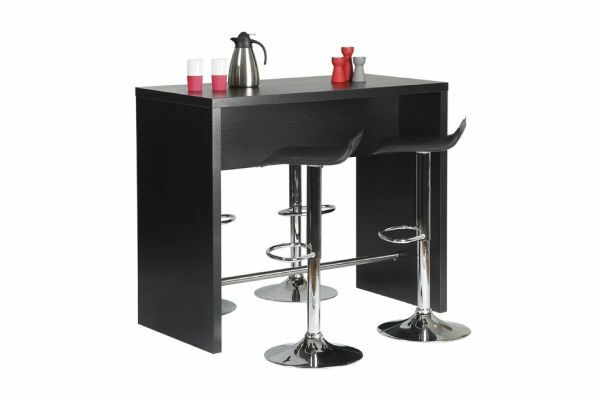 Dining tables, sideboards & more available in white & oak, or white & matt black. 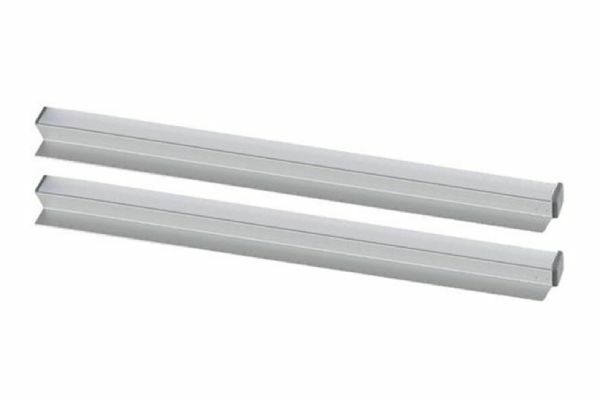 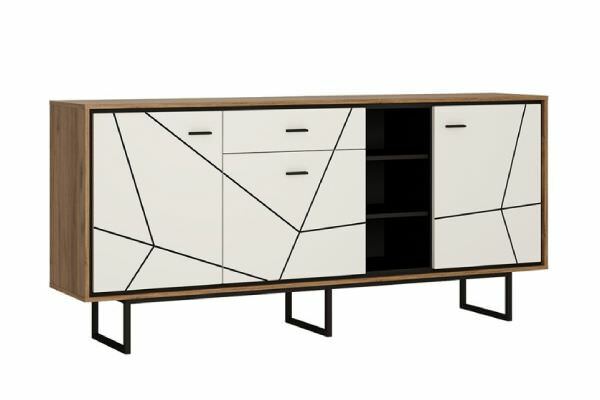 High gloss white with woodgrain & dark accents, in a stunningly modern geometric design. 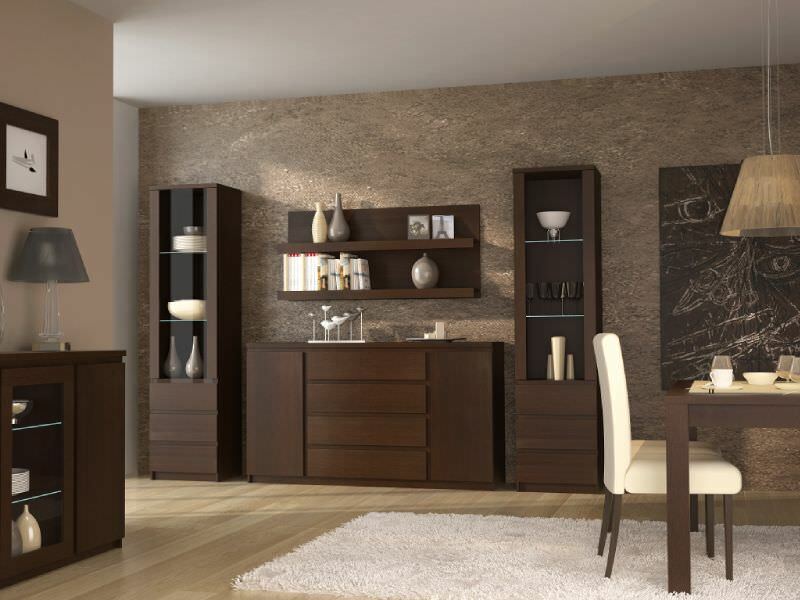 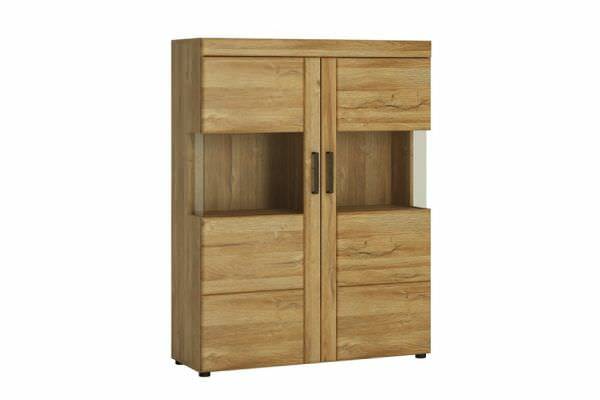 A top quality collection with fantastic oak grain finishing & contrasting dark trim. 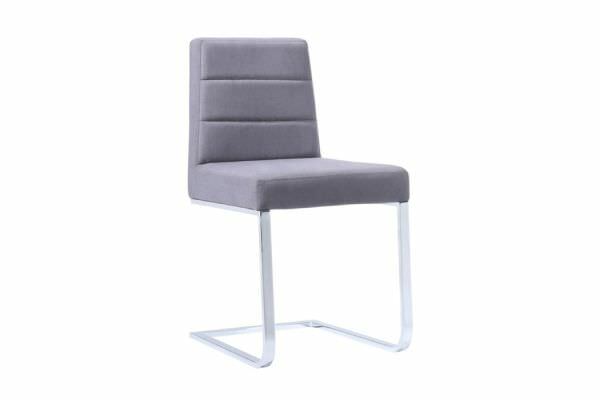 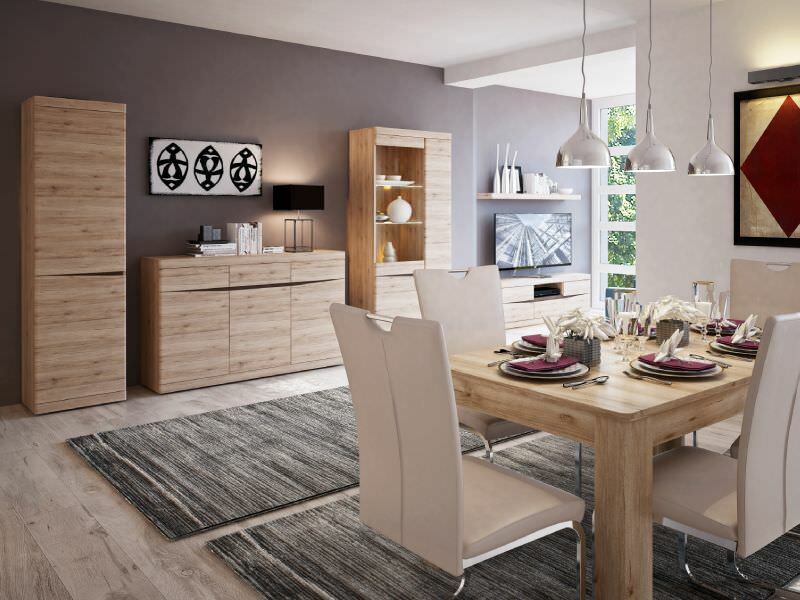 This high impact furniture collection comes available in light Riviera oak & white, or contrasting grey finishes. 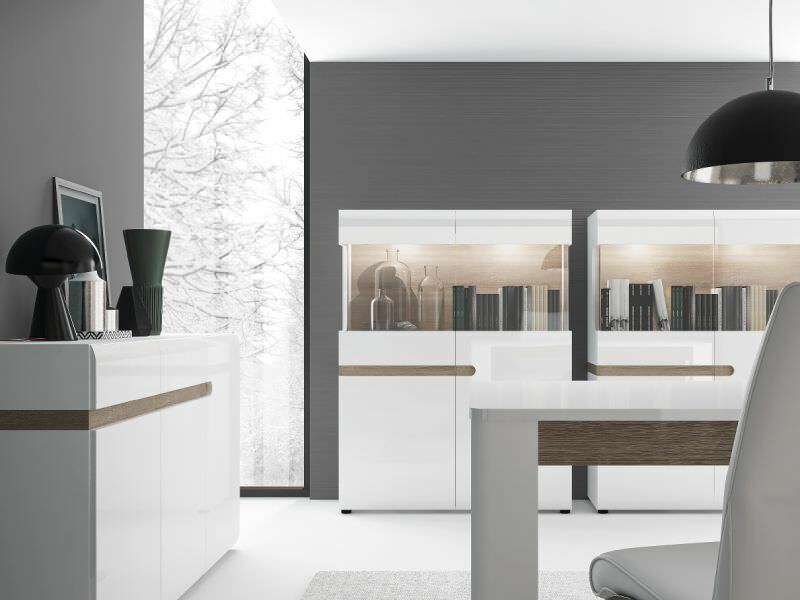 Gloss white with warm Stirling oak accents in perfect harmony.